1) This is an additive-free coating and moisturizing gel that was developed to protect patients from dry skin caused by bandages or compresses. 2) With its oil-free patent high polymer coating, it protects skin from things that affix to it, and composite plant-based ingredients calm the skin and protect from itching and inflamation. 3) It is also incredibly convenient as a cosmetic skincare product. When spread over the face after washing, even those with atopic dermatitis can enjoy smooth, long-lasting moisture. 1) Thinly spread a very small amount of the gel onto the area you will use it on. 2) Wait 30 seconds, then, when the skin has dried smoothly, paste onto bandages or compresses. 1) When stored at normal room temperature, the expiration period for an unopened product is three years. After opening, please use the 60g product within approximately 6 months. 2) In order to make the product safe and non-irritating while maintaining its strong antibacterial and antimicrobial functions, we use silver. For that reason, individuals with metal allergies that react to silver should either refrain from using the product or conduct a self test on the inner part of the upper arm and confirm results before using. 3) It is necessary to use ethanol (alcohol) in the plant extract purification process, so it inevitably carries over as an ingredient during manufacturing. Those who are sensitive to ethanol should either refrain from using the product or confirm the results of a self test on the inner part of the upper arm before using. 4) This product displays a semitranslucent, pale tinge. This is a natural tinge that is characteristic of the gel itself, so please use without worries. 1) Since 2016, the product has been used by a total of 12 teams as the official product of the Women's Japan Basketball League. 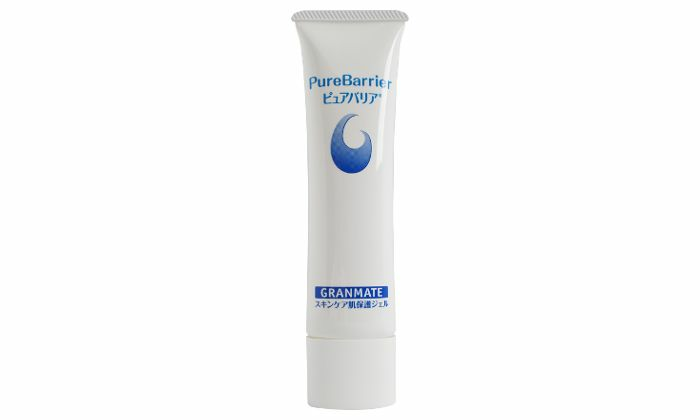 Granmate Co., Ltd. appeared on the league's homepage as an official sponsor. 2) Since 2018, the product has become a designated product of Chiba Prefecture Sporting Goods Association (28 affiliate companies), and is handled as an exclusive product. Doctors, nurses, sports players and trainers know that Pure Barrier is an incredibly practical solution for all scenarios. This gel, which was developed in 2012 in order to help hospital patients, is currently booming as a simple cosmetic skincare product, and as an outstanding skin protecting gel for sports. To all women in Asia: from skin protection and rough skin repairs to long-lasting moisturization, this product does it all!! Granmate Co., Ltd. Is a general trading company specializing in medical care with business activities in the fields of nephrology and internal circulatory medicine. After hearing that many patients suffer from skin trouble caused by bandage fixation, they partnered with Fujifilm Medical Systems to speed up the creation of a coating and moisturizing gel. 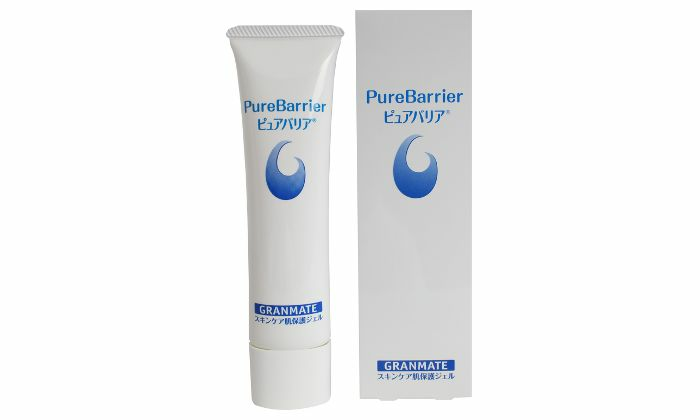 After completing trials of all kinds, Pure Barrier was completed in 2012. It is good for using in summer. Not too oily and quiet moist. It is suitable for the oily skin people to use. It doesn't have any smell and really does helps to keep my face moist throughout the day. Recommend this! It is great to use in summer. The texture is light and absorb quickly. I highly recommend to those combo or oily skin people.